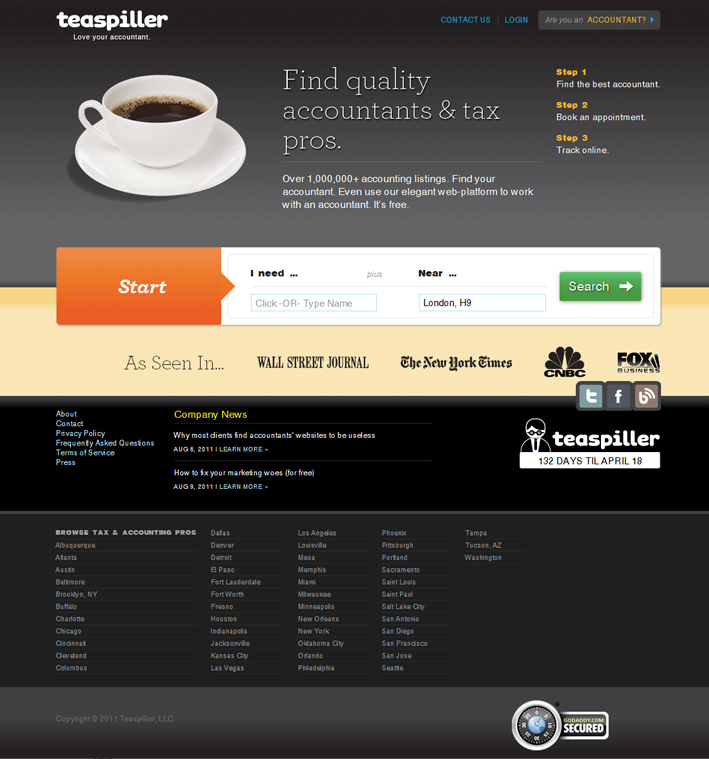 Teaspiller is a web application launched in 2010 for accountants. It enables accountants to work remotely with clients (share files, send secure messages, schedule appointments), as well as find new clients looking for their specific skills through a complex search algorithm. This is done through extended profiles containing licensing information, professional histories, user ratings, peer endorsements, association memberships and practice areas. 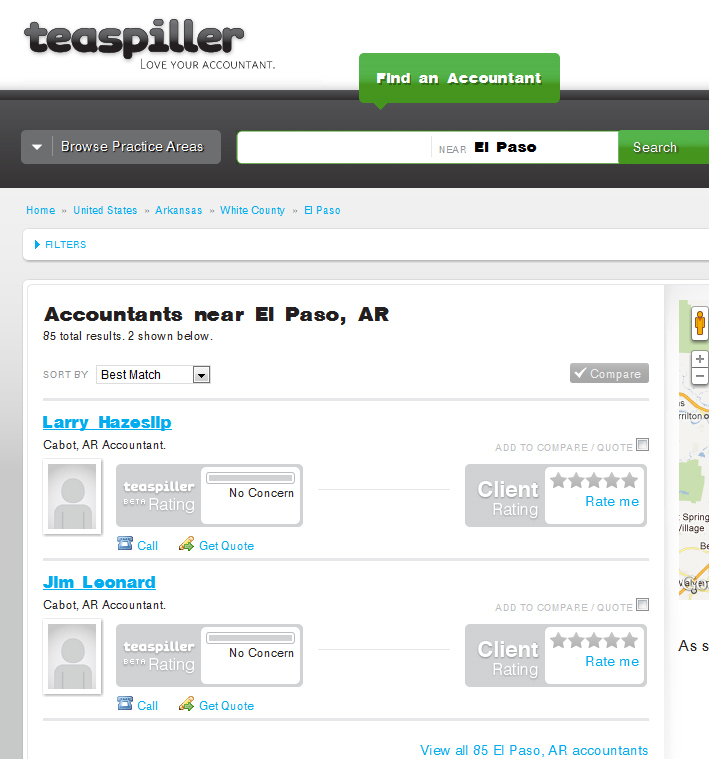 The service has been called an H&amp;R Block killer by Business Insider and currently has 20,000 accountants listed. The application was built using the Django framework.